Every girl in high school must have that dream prom dress that they wish to wear during prom night. As parents, it’s only right to be concerned about where you and your girl can find the perfect dress for such a momentous occasion. There really are a lot of options for trendy, hot-off-the-rack yet affordably priced dresses and you can find them from online stores to local malls. But where can you really find the best deals when it comes to cheap and chic prom dresses. Online shopping is the easiest most convenient way of shopping for anything including cheap prom dresses. However, you should also be careful when checking out items online for some colors represented in some images does not really match the actual ones. Additionally, there are also no guarantees that it will be a perfect fit. So look for reputable online stores and read the sites feedback before making any purchase. Malls are great place to look around for prom dresses with your girl. With all the shops displaying the latest fashion trends, you will get a concrete idea of what you really want. Some stores maintain a large inventory of prom dresses and there is always plenty to choose from. It will be an exciting activity to do with your teenage girl especially when it comes to fitting. As opposed to looking at prom dresses online, shopping from malls gives you better chances of getting a perfect fit. However, not all stores will offer custom fitting and there are also dresses that cannot be tailored to adjust to your size. 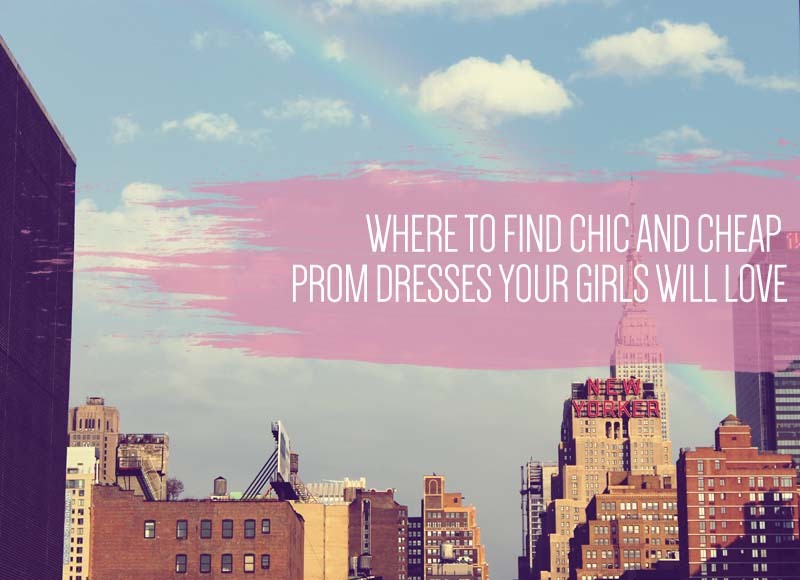 Before checking out the latest at dressfirst.com or heading to the nearest Mall, you should first consider the different stores that cater to prom dresses according to budget, quality and value-added services. Have a specific budget in mind to avoid overspending to purchasing something on a whim. Decide with your girl how much you are willing to pay for her prom dress and the accessories that she will need. You should also discuss with her the options available such as custom made dresses or designer shoes and then set a budget for each item. Once you’ve settled on this, it will be easier for you to determine where you should shop for her dress. Superb website. Numerous tips in this article. I am just sending them to 3 close friends ans additionally spreading with delightful. And of course, because of the perspire!